Every year, we celebrate and commemorate the lives and sacrifices of those who have fought and fallen in service for their country. Still, we know little about the lives and experiences of the wives and families that service personnel and veterans leave behind. They are not commemorated as heroes. We do not talk about their fights and struggles when we remember the wars Great Britain has fought over the centuries. This is why Dr Nadine Muller, Senior Lecturer in English Literature and Cultural History at Liverpool John Moores University and author of The Widow: A Literary & Cultural History (2017), is collaborating with the War Widows’ Association of Great Britain (WWA), an organisation that has been working tirelessly to improve the conditions of war widows and their dependants since 1971. Together, we want to raise awareness of the everyday lives of war widows, past and present. War Widows’ Stories will give war widows and their close relatives the opportunity to tell their stories, be trained as interviewers to record the memories of others, and to learn about how war widows’ lives have changed over the centuries. We will train our volunteer interviewers and begin conducting interviews in January 2017. Once we have collected, edited, and uploaded all the material we have gathered, we will celebrate War Widows’ Stories in an official launch event in November 2017. To stay up to date with our progress, visit our news pages, and subscribe to our email updates by clicking the “Follow” button at the bottom right of your screen. The project is funded by a Sharing Heritage award from the Heritage Lottery Fund. 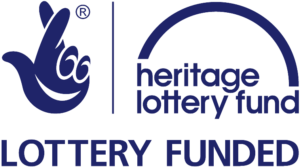 War Widows’ Stories Wins Award from Heritage Lottery Fund!